The National Recreation and Park Association has launched America's Backyard, a program to engage the public and showcase the value of public parks and recreation in communities throughout the United States. The Ashburn, Va.-based National Recreation and Park Association (NRPA) has launched America’s Backyard, a program to engage the public and showcase the value of public parks and recreation in communities throughout the United States. With the program, NRPA hopes to draw attention to the role of public parks and recreation in American life — for health, physical fitness, economic development, social interaction, conservation and community vitality. 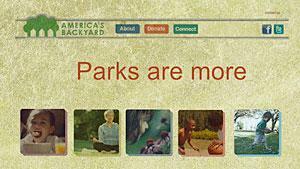 Through the America’s Backyard interactive website, the public can access information, resources and facts about public parks and recreation. In addition, NRPA will use the site to provide resources about how people can advocate for and support parks and recreation in their local communities. America’s Backyard also will engage regularly with individuals through social media, including Facebook and Twitter. As part of the campaign, NRPA is urging individuals to make tax-deductible donations, which will support NRPA’s initiatives to further public parks and recreation in the U.S., related to national advocacy, education, health, youth programming and community revitalization. Donors become Friends of America’s Backyard, which entitles them to the bi-annual America’s Backyard Newsletter, monthly e-alerts on parks and recreation, and an America’s Backyard decal. 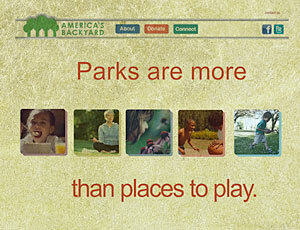 According to the NRPA, there are 105,000 public parks in the U.S., serving more than 300 million people. There are 12,000 local and state public park and recreation agencies in the U.S.
NRPA works to advance parks, recreation and environmental conservation efforts that enhance quality of life. 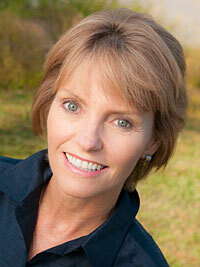 It also serves the parks profession and serves as a voice for the park and recreation movement.